On 29th, May 2018, Beijing International Forum on Creative Economy and “Summit on AR Industry Development” was held in Beijing. The Forum was jointly sponsored by WTPF and Beijing Municipal Commission of Commerce (BJCOC), with the participation of UNCTAD. With the theme of “Technological innovation promotes the development of creative economy”, the forum focused on the industry of “AR” (Augmented Reality), invited domestic and foreign experts to make speeches and dialogs about the technological innovation promoting economic transformation and upgrading, facilitating the development of creative industries, and forming a new engine for economic growth. The deputy director of BJCOC Mr. Ding Jianhua attended the forum and made an address. Mr. Ding has made three proposals in his address: firstly, promote the integration of technological innovation and creative industries; secondly, improve the capability of independent innovation; thirdly, continuously optimize the development environment. The president of WTPF Mr. Bruno Masier attended the forum and made an address; the experts from the Creative Economy and Development Section in UNCTAD Ms. Marisa and Ms. Carolina have made speeches under the theme “The Creative Economy in the Digital Era”. 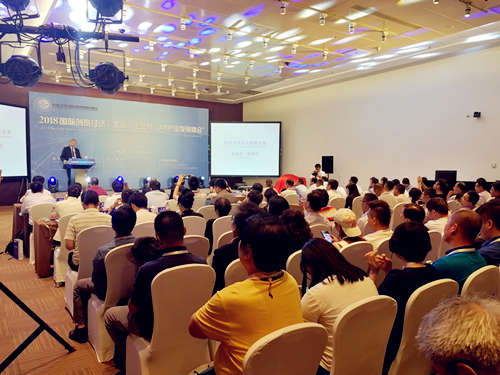 On the forum, experts from enterprises and academic institutions have made speeches and dialogs about the development of “AR” and “AR+” industry. 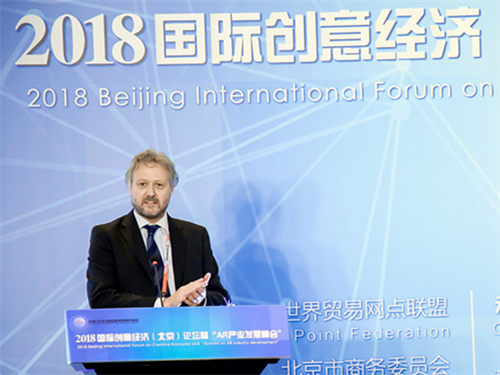 The forum was co-organized by Trade Point Beijing, Beijing International Economic and Trade Development Association, Beijing Xloong Technologies Co., Ltd. and Beijing Logistic Association. Over 200 representatives including experts and officials of international organizations, municipal governments, embassies in China, chamber s of commerce and enterprises attended the forum.